For our fourteenth exhibit, we presented something that appeals to those who crave the unusual and the fanciful – art that's full of life and wonder. 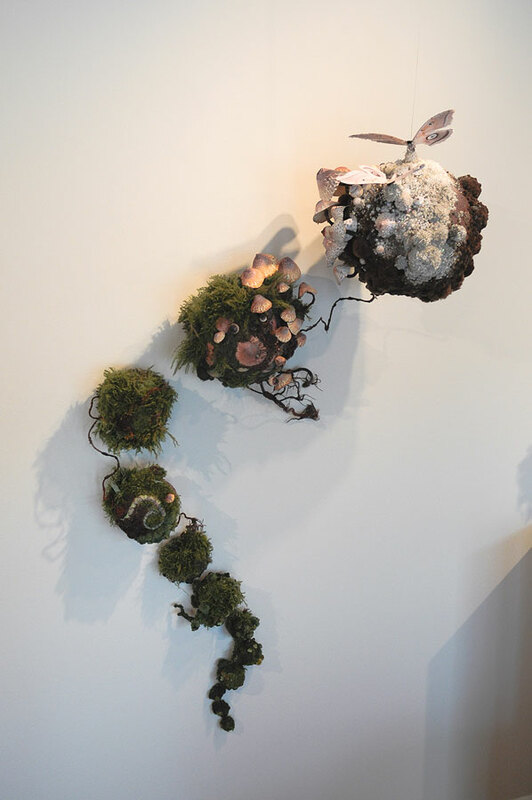 This fantasy world of creativity featured seven artists from around the country and, like all good art, the well-crafted, imaginative work captivated, moved and amazed the viewer. 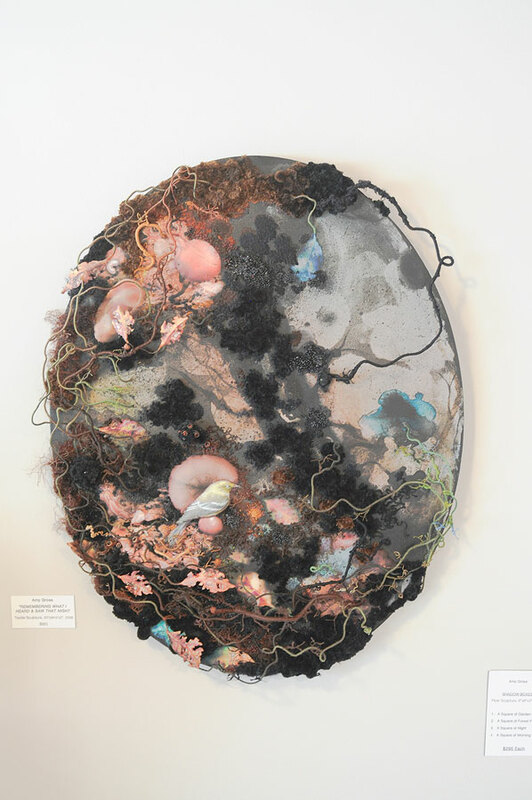 Fiber artist Amy Gross (an east coast Floridian) preserves the ephemeral beauty of nature with her hand-crafted biotope orbs - little ecosystems constructed from textiles and beads. 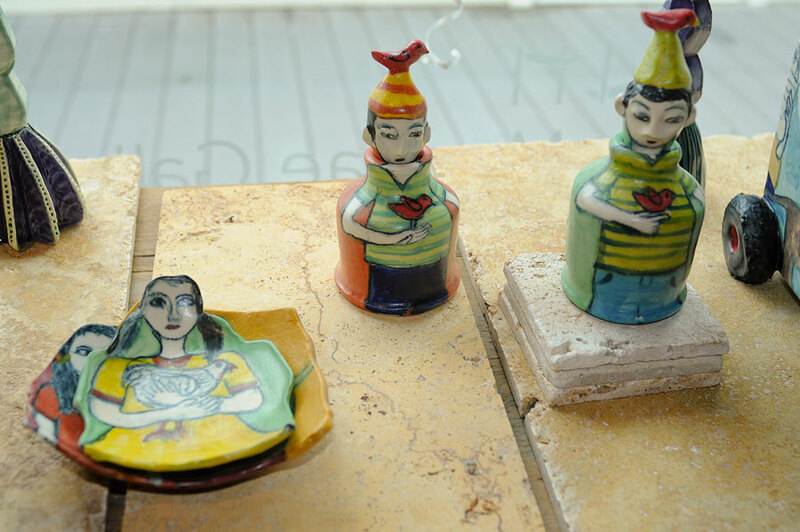 From the woods of Wisconsin, Wendy Olson provided us with her delightfully animated ceramic cups, and North Carolina ceramicist Jenny Lou Sherburne shared with us her whimsical, organic tableware; this was the first show in the Watson MacRae Gallery for these two talented ladies. Also new to the gallery were the obsessive drawings of children in bottles by Len Cowgill of Traverse City, Michigan. 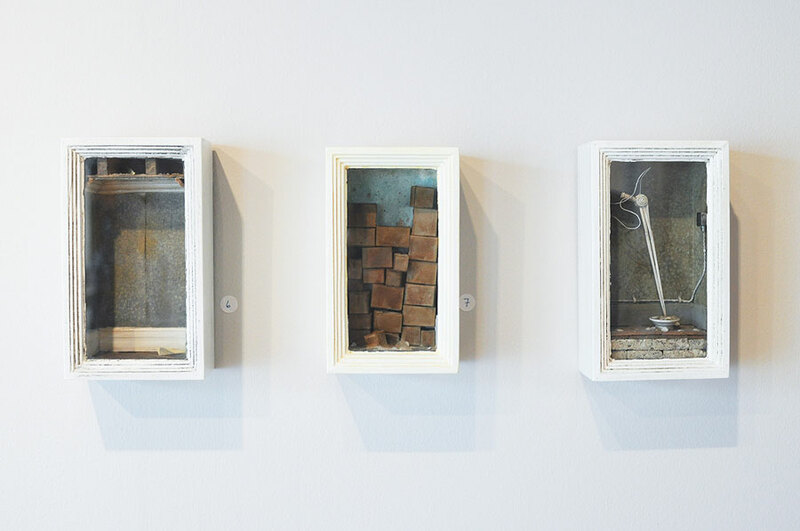 Seattle's Rick Araluce returned with new work - miniature rooms from the past completely fabricated by his hand, and Laddy Sartin, influenced by the traditions of Mississippi Delta folk artists, electrified us with his paintings of crows and creatures. 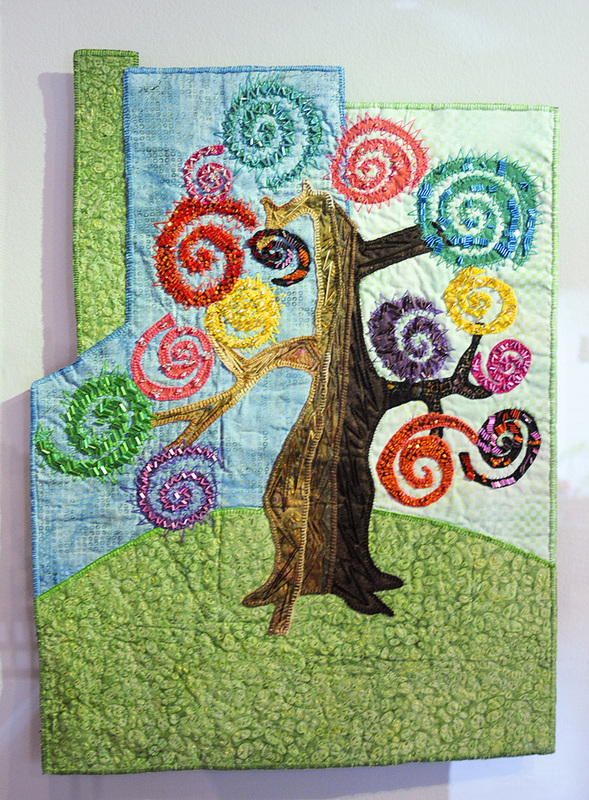 Last but not least, Linda Green of Sanibel Island helped us populate this wonderland with her whimsical women, quilt-art creations with beads, hand-stitching and more French knots than you've seen since home ec class!